This is the best book available for Pediatrics for undergraduate students in the market. Students have been using this textbook for many years and it still is the best one. Each and every topic is given in detail and with very good description. I had read many topics from this book in my UG days and was unanimously recommended by all seniors. This is a comparatively new textbook published by Bhalani Publishers and is an alternative to Ghai. This textbook was first published when I was in my 3rd MBBS and is written by then HOD of Department of Pediatrics of TNMC and is now HOD of same GSMC. This textbook is more suitable for Indian medical exams as it given data in pointwise details, which makes this book much easier to read and recollect during the exams. I found it as good as Ghai for content and better for remembering in exams, so preferred it for my theory exams. This review is about 3 years older version of the book and I haven’t looked at latest edition, so I would advise students to have look at it personally to see it matches their style of reading and requirements. I haven’t personally read this book but asked my friend who has done MD Pediatrics from GSMC, Mumbai and according to his opinion, this book is good but not comparable to Ghai. Students can still use it for reference if needed by getting it from the library. 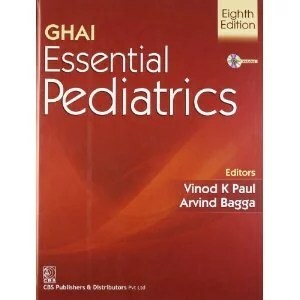 This is a postgraduate level textbook of Pediatrics but can be used by UG students for reference purpose. A point to be remembered is that this book is very high level and should not be used under any circumstances as the primary source of reading for undergraduate level exams, as it would be waste of time and money because of low weightage of pediatrics subject in UG exams. A widely used book on the practical aspect of Pediatrics. It is a very well written and detailed book. Recommended for practical exams preparation. I have not read or had a look at this book. So students are advised to have a quick look at it to compare it to Meharban Singh book. Self Assessment & Review of Paediatrics by Arvind Arora is an MCQ book mainly for PG medical entrance exam preparation like NEET-PG, AIIMS, JIPMER etc. But students can also read this book for MCQs at UG exams. If students have more recommendation or have points to add to those I have mentioned kindly comment below. Could you please privude a full name of the book? Great and detailed review sir.